Have you heard of the law of unintended consequences? It says that there are times when things don’t work out as you would expect. For the auto industry, as a whole, who could have thought that Volkswagen’s emission scandal would turn out to be a big plus. Let’s turn back the clock about seven years. It’s 2010, and car sales are slumping along in the 8 to 9 million per year range. That level of car sales put the auto industry into a tailspin that lasted until 2012 when a plan by President Obama called “Cash for Clunkers,” started an industry turnaround that has continued until now. It is one of the longest periods of steady sales growth that the sector has experienced in the last 40 years. The former president’s plan was simple: encourage people to go out and purchase new cars by using their super-old vehicles. The old clunkers were turned in for vouchers from the federal government that guaranteed cash awards of up to $10,000 or so. The plan was an immediate hit. The $3 billion advanced for the vouchers was used up in less than three months, and the result was that about 700,000 vehicles sold and a slipping industry that received a badly-needed jumpstart. Now, fast forward to February 2017; the car sales balloon that has been expanding since “Cash for Clunkers” has begun to go soft. Though it has only been a tick – about .2 percent overall – there are definite signs of sales slowing. And, this is where the Volkswagen storyline picks up. With final approval of the buyback plan in October – VW agreed to buy back up to 475,000 rigged 2.0-liter turbodiesels. Since the beginning of the repurchase program in November, nearly 100,000 vehicles have already been repurchased by VW. The average payout between the value of the vehicle and compensation is about $25,000. VW may also repurchase or compensate another 85,000 3.0-liter V-6 turbodiesel owners. It’s not that many owners wanted to turn their cars in. Many owners, like Scot Nichols, were quite happy with their VWs. 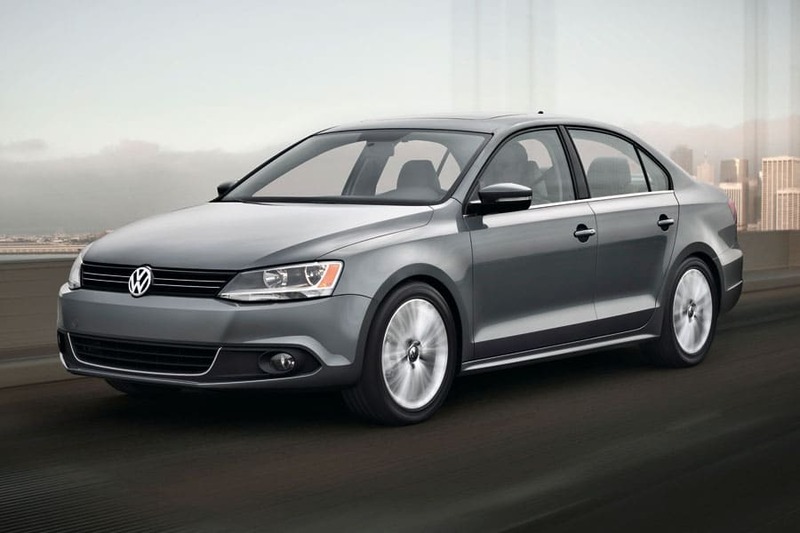 Bloomberg said this week that Nichols planned to keep the 2013 Jetta SportWagen TDI for years. The diesel cheating scandal soured “him and his wife on the brand” putting “them back into the market.” He purchased a new Honda. Under the VW repurchase plan, the automaker may buy back or fix as many as 562,000 diesels (2.0- and 3.0-liter V-6) in the U.S. into 2019. The buyback program “will lead the German automaker to essentially mimic the U.S. government and its cash-for-clunkers program, which lured Americans into buying cars during the recession.” The key difference is the size of the bonus for the auto business. The federal program provided $3 billion while the VW program could provide up to $14.04 billion, following this week’s agreement between regulators and the automaker. At this point, the law of unintended consequences crops up. The original “Cash-for-Clunkers” program took several hundred thousand clunkers off the road intentionally, providing for the sale of nearly 1 million vehicles. The program started the seven-year-long recovery. However, the VW program was only intended to get the cheating diesels off the road, something which the judge presiding over the settlement process emphasized more than once in open court. The unintended consequence of the diesel buyback program is this: it may extend the “sales gains that Cash-for-Clunkers started,” Bloomberg said. As noted, the seven-year sales recovery has begun to slow. In January, the yearly sales rate dropped from 17.9 million last year to 17.3 million this year. “That is certainly one of the reasons we expect vehicle sales to continue to grow this year and next,” Jeff Schuster, LMC Automotive’s senior VP of forecasting, said of the buybacks. Without what he called the “VW Effect,” sales will likely slip. With the “VW Effect,” though, diesel buyers, who would not otherwise have been in the market, will probably purchase 210,000 additional new cars in the next couple of years, LMC Automotive estimates.